A man has been arrested and accused of stealing Frances McDormand's Oscar trophy after the Academy Awards, Los Angeles police say. 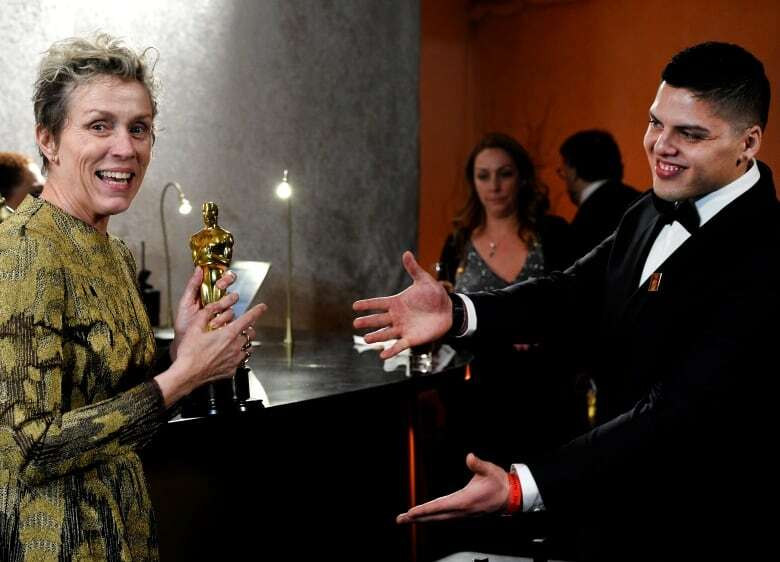 A man was arrested and is accused of stealing Frances McDormand's Oscars trophy after the Academy Awards on Sunday night, Los Angeles police said. Terry Bryant, 47, was arrested on suspicion of felony grand theft, said officer Rosario Herrera, a police spokesperson. Video captured by The Associated Press appears to show Bryant walking with the statuette out of the Governors Ball, the Oscars after-party where police say he took it. The video shows a man in a tuxedo who appears to be Bryant holding an Oscar statuette highly and proudly as an onlooker cheers. "All right baby boys and baby girls," he says, walking quickly and nearly bumping into a woman. He then quickly glances around him before walking out of frame, prominently holding the Oscar the entire time. Another photographer who took Bryant's picture at about the same time did not recognize him as a winner at the ceremony, and began following him, police said. When he was confronted, Bryant handed back the statuette without a fight, police said. He was detained by security guards at the event and arrested by Los Angeles police officers. The award was later returned to McDormand. "After some brief time apart, Frances and her Oscar were happily reunited. They celebrated the reunion with a double cheeseburger from In-N-Out Burger," McDormand's publicist, Simon Halls, told the Associated Press. McDormand received the Academy Award for Best Actress for her performance in Three Billboards Outside Ebbing, Missouri. The two-time Oscar winner, who swept trophies at the Golden Globes, Screen Actors Guild, Independent Spirit and BAFTA ceremonies, beat out Sally Hawkins of The Shape of Water, Margot Robbie of I, Tonya, Saoirse Ronan of Lady Bird, and 21-time nominee Meryl Streep of The Post at Sunday's Oscars. In Three Billboards, McDormand played Mildred Hayes, a hardened woman seeking justice for her daughter's murder in the crime drama. Her first Oscar came for the 1996 film Fargo, directed by her husband Joel Coen. Bryant was being held on $20,000 US bail Monday, police said. There was no immediate reply to a message sent to one of Bryant's social media profiles and it wasn't clear if he had an attorney who could comment on his behalf. A video that was posted live on a Facebook page that appeared to belong to Bryant showed him kissing and flaunting a statuette during the Governor's Ball. "Look it, baby. My team got this tonight. This is mine," he said, turning the trophy toward the camera, before kissing it on the head. As he spun around in a circle, Bryant solicited congratulations from those around him. "Who wants to wish me congratulations?" he asked fellow revellers who were walking by, before posing for several selfies. "You know what, I can't believe I got this." 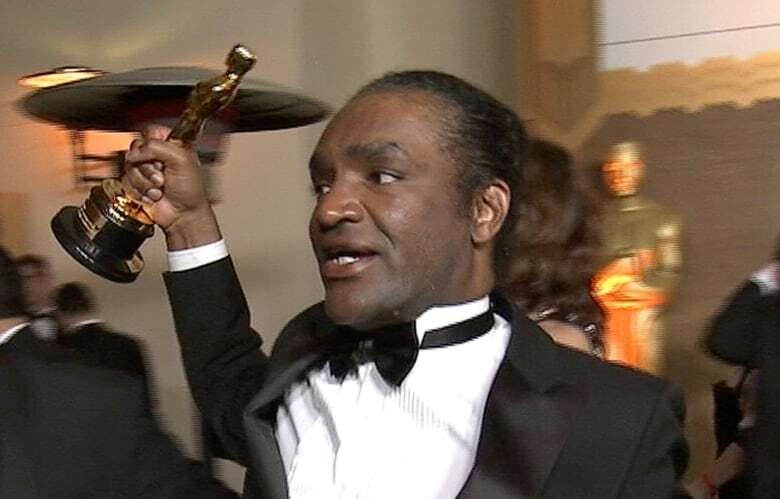 No one named Terry Bryant won an Oscar on Sunday.